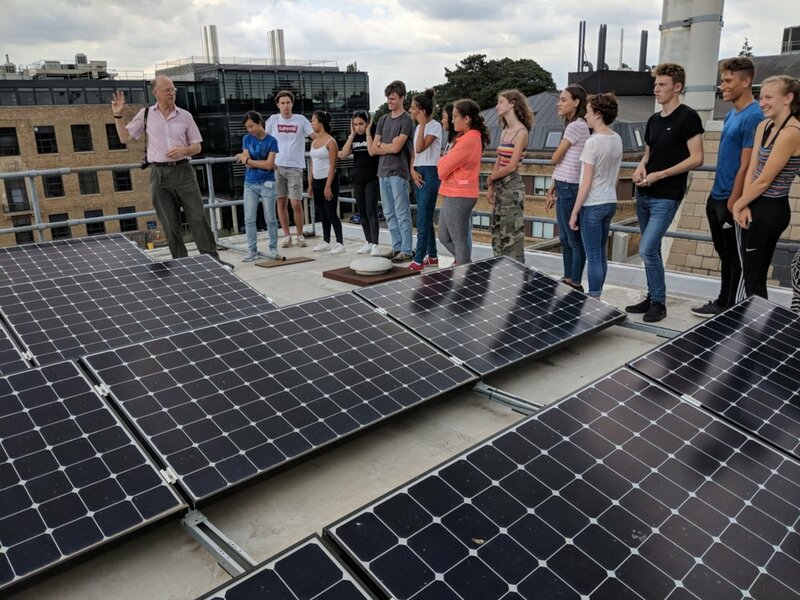 Have you heard about the people building new businesses around new energy sources? Or making use of free waste materials to make new marketable products? Making leather from pineapple leaves? Making trainers from sea plastic? Building houses from milk boxes? Using flowers to control agricultural pests? Making edible plates? The opportunities and ideas are endless. Global issues are making the future for young people uncertain. But armed with the right knowledge and skills, there are exciting new challenges and opportunities emerging. 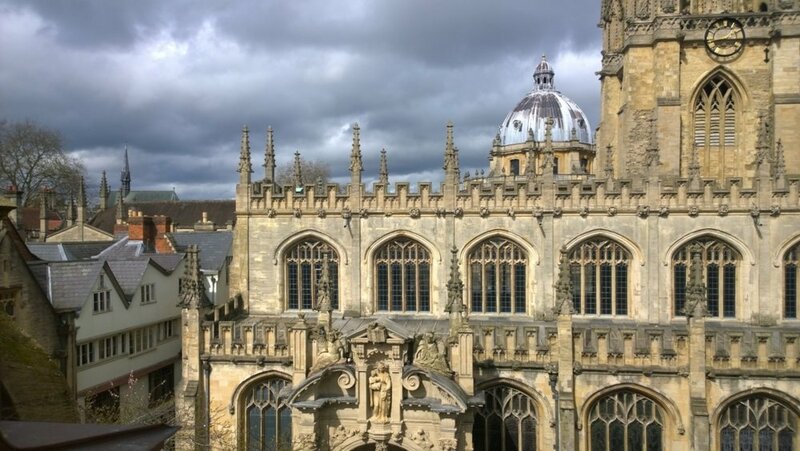 LIGC is supported by our friends and lovely Summer School experts Oxford Study Courses (OSC) on a non profit basis. 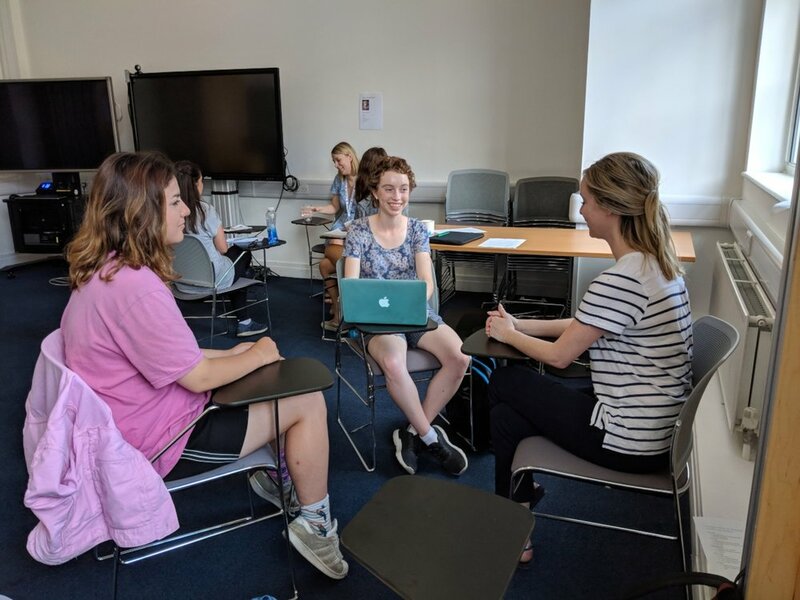 Students who want two weeks in Oxford and are coming for the LIGC course on 7th July, could choose to add the OSC Discovery Week which takes place in the week commencing 14th July. It a fantastic fit with the LIGC courses in which you can explore your personal goals and aspirations. It is at the same venue, and you will be under the supervision of the same student care team and can keep the same bedroom throughout. To apply for both, you can go through the OSC website. Explore key global issues, challenges and solutions, with world-leading academics and high profile thought leaders. Engage with innovative businesses engaged in moving the world on. Experience emerging solutions with your own hands. Workshops with professional communication experts to help you pass on your knowledge to others. Guidance on how to ask questions and think critically, and express your own opinions. Opportunities to explore your own career thoughts and personal development options. Get to know an iconic world city or explore one of the remote places in the British Isles. Explore the natural world with experts in wildlife and conservation. Make friends for life in a new international community of LIGC students. 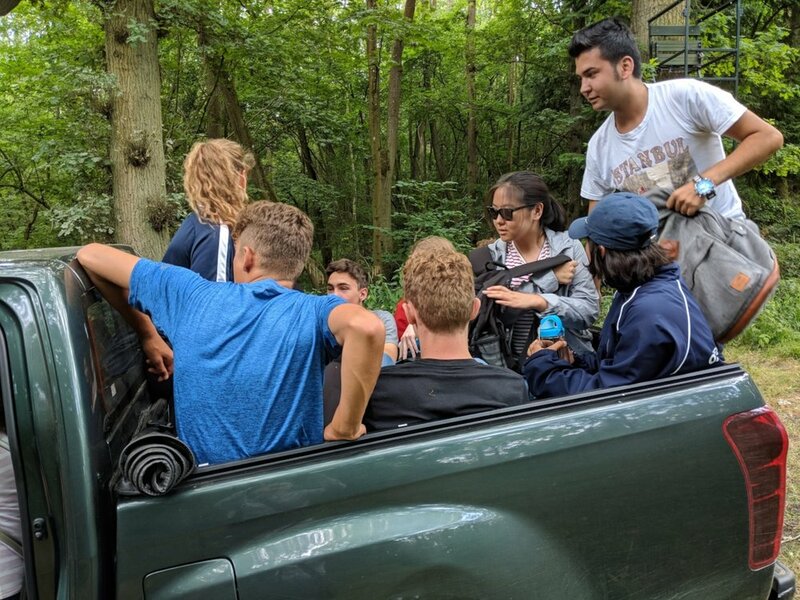 In the Conservator’s truck in Wytham Woods, Oxford University! 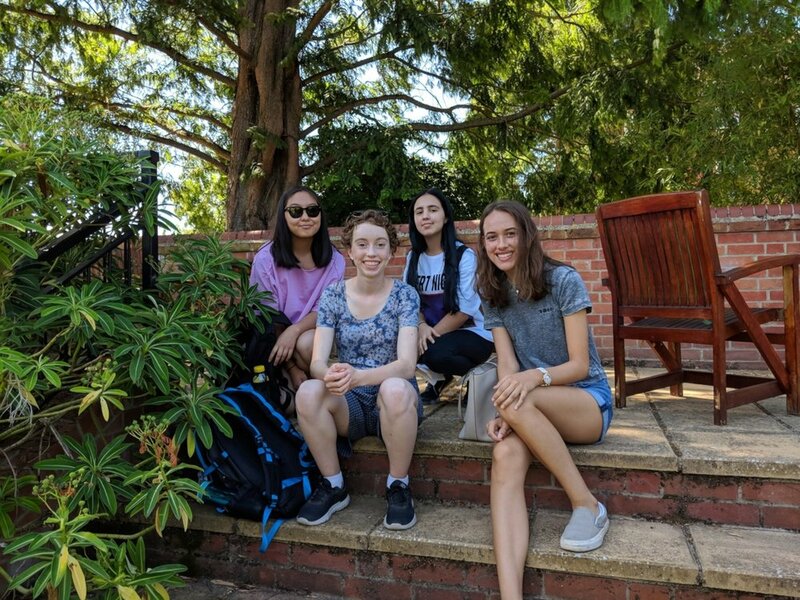 LIGC students live in St Antony's College, part of the University of Oxford, a beautiful college for graduate students in leafy North Oxford. They have lovely, single, study bedrooms in a charming setting around beautiful gardens. 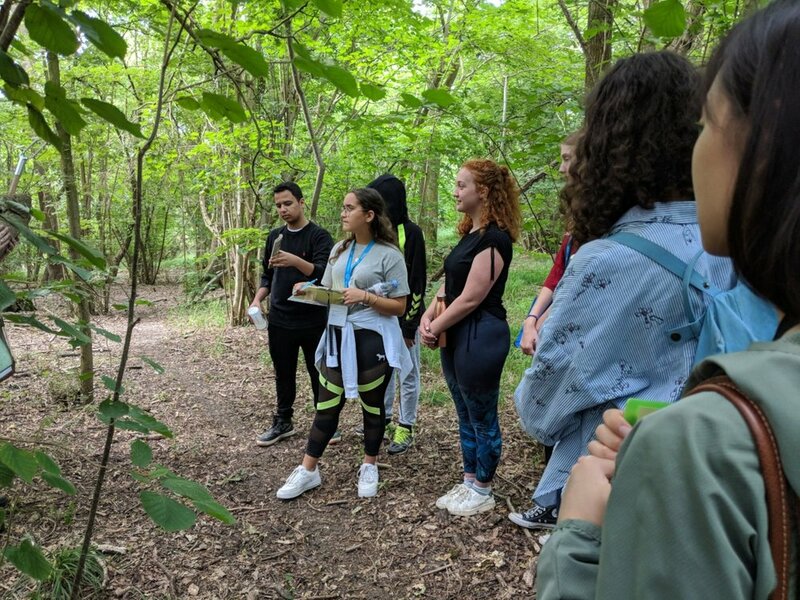 They have a short walk each morning across the wonderful University Parks to the School of Geography and Environment, where the ECI is located, in the University Science Area. 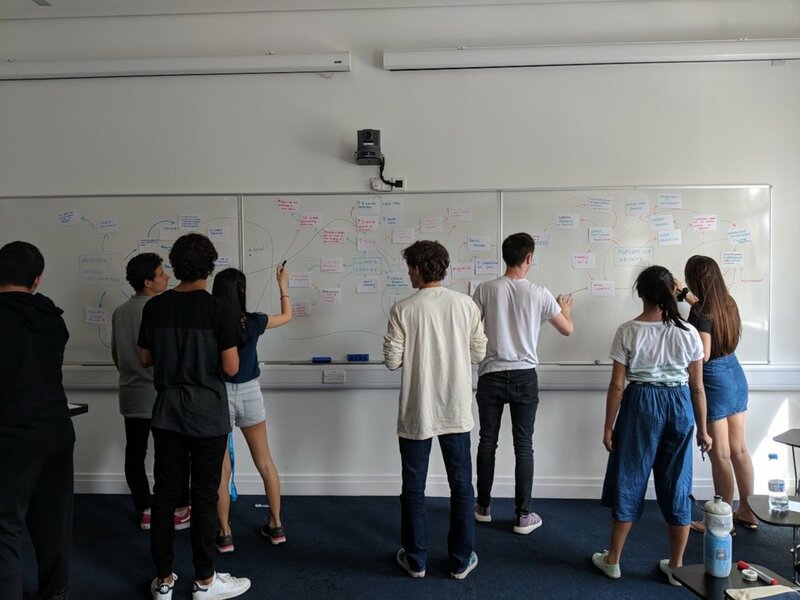 Learning is active and stimulating, and enhanced with a fun packed social programme, exploring what Oxford has to offer. 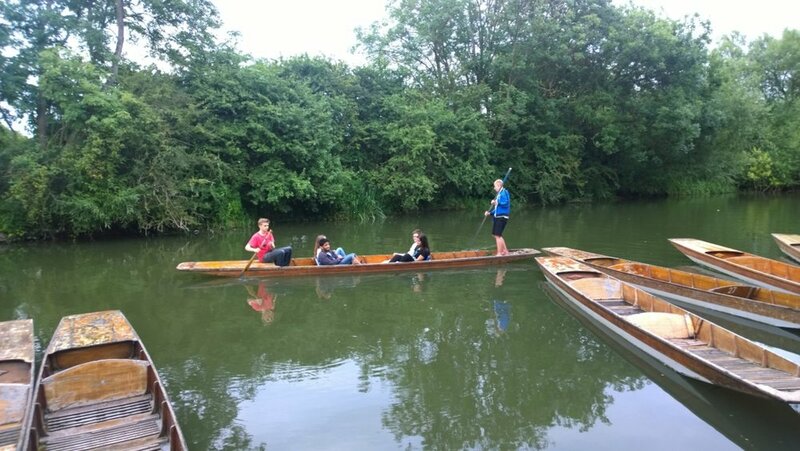 Our evening activities, after the initial Sunday welcome dinner, are usually a pizza night, punting (long flat boat propelled by a long metal pole) on the beautiful River Cherwell, Shakespeare in one of the college gardens, and a free evening with your new friends. To get to and from CAT in Wales, students travel by coach with the student care team. They live in the on site “self-build” house (don’t worry, it is already built! ), eating in the onsite restaurant which uses vegetables grown on site, and have trips out to the beach, and the Welsh mountains. The CAT site is just beautiful - quiet, peaceful and leafy. Students will explore the site, and in the evenings will have social activities - movies, ping pong games, dancing, and socialising. Thanks to the generosity of our supporters, we have a few partial bursaries available for those who need some additional support. Please email for details. Looking for clever ideas to kick start your business ideas? Possibly. Looking to show off your drive and passion to prospective universities or employers? You should be! Are you going to make a difference in the world? Of course you are! You already are. Are you a problem solver? A big dreamer? An experimenter? Can you do something your friends can't do? What are your ideas for your future? Your ambitions? Your dreams? Do you know what you want, and how to get it? Will you always want the same things? Do you want to be able to hold your own in a debate? Make good judgements? Find the right solutions? YES?? Join us for wonderful weeks of exploration in Oxford and or Wales.